CEDAR HILL—A 2006 Cedar Hill High School graduate and Cedar Hill, Texas, native is presently engaged in a critical mission for the security of the United States: deterring nuclear war. 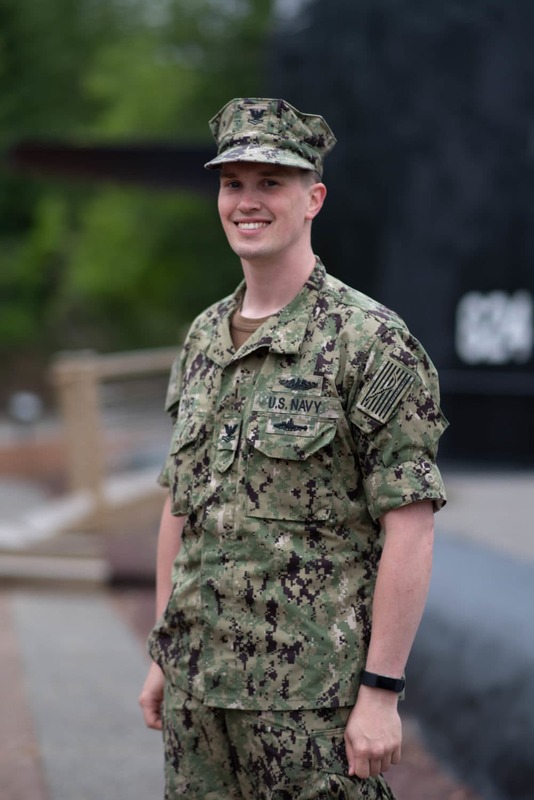 Petty Officer 2nd Class Dustin Dyar, a machinist’s mate (nuclear), is serving aboard one of the world’s most advanced ballistic missile submarines, USS Kentucky. Based at Naval Base Kitsap-Bangor in Washington, not far from Seattle, USS Kentucky is one of 14 Ohio-class ballistic missile submarines in the Navy’s fleet. As a machinist’s mate (nuclear), Dyar is responsible for operating the steam plant and providing electricity for the submarine. Dyar draws from lessons learned growing up in Cedar Hill. “Logical thinking has helped me be successful because it has allowed me to analyze each task individually,” Dyar said. The Navy’s ballistic missile submarines, often referred to informally as “boomers,” serve as undetectable launch platforms for intercontinental ballistic missiles. They are designed specifically for stealth, extended patrols and the precise delivery of missiles, and they are the only survivable leg of the nation’s strategic nuclear forces, which also include land-based missiles and aircraft. As long as nuclear weapons remain in the hands of potential adversaries, the nation’s nuclear forces provide a safe, secure and credible deterrent to the threat of nuclear attack. The Navy’s continuous at-sea deployment of submarines like USS Kentucky provides the ability to mount an assured response. As effective as the Ohio-class submarines have been over their decades-long lifetimes, the fleet is aging, with the oldest submarines now more than 30 years old, well past their planned service lives. A new and effective successor is critical to national security, and the Navy is well into the process of designing and fielding a more advanced ballistic missile submarine, which will provide the necessary sea-based nuclear deterrence into the 2080s and beyond. The training is highly technical, and each crew has to be able to operate, maintain, and repair every system or piece of equipment on board. Regardless of their specialty, everyone also has to learn how everything on the submarine works and how to respond in emergencies to become “qualified in submarines” and earn the right to wear the coveted gold or silver dolphins on their uniforms. Finally, as a member of one of the U.S. Navy’s most relied upon assets, Dyar and other sailors know they are part of a legacy that will last beyond their lifetimes, one that will provide a critical component of the Navy the nation needs.